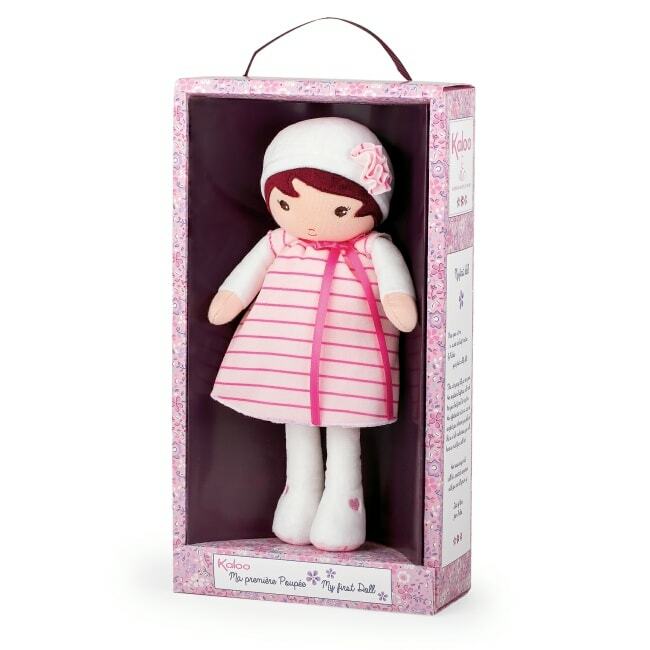 Meet Rose one of the soft plush dolls from the Kaloo 'My first doll' range. 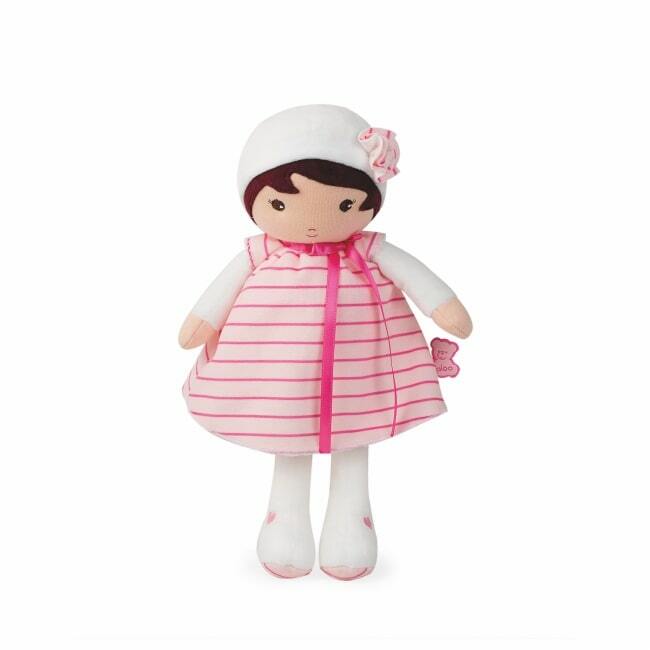 She is dressed in a soft pink striped dress and hat which are non-removable, she’s always dressed up for any occasion. She loves to join a tea party, take a nap or just be carried wherever you go. Supplied in her own little box this is the perfect first doll for any little girl.